And speaking of the sentiment "Thank You" - a special thank you to all of you for stopping by today! Hope that you all have a great start to September!!! 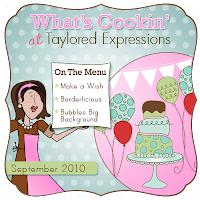 Taylored Expressions Sneak Peeks - Day 1 - Make A Wish!!! Its party time over at Taylored Expressions as we kick off release week and let me tell you that this month's release is huge - I mean HUGE - with a TON of amazing stamp sets, dies, Project Pantry kits, copic bundles, and a more!!! All the sneak peeks that the Baker's Dozen Design Team will be showing this week will be available at the Taylored Expressions store on Friday, September 3rd at 8am PST!!! 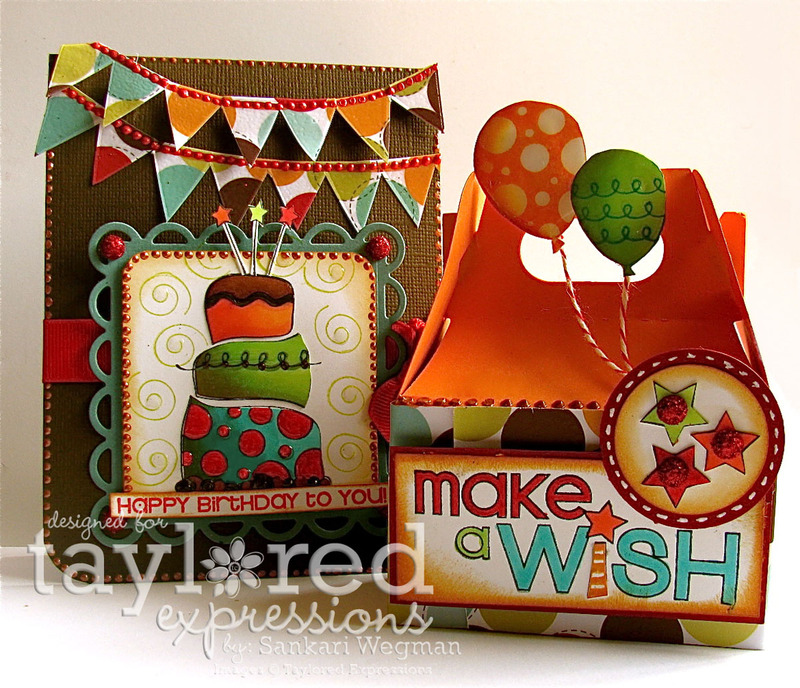 Today we are kicking things off by showing sneak peeks from the gorgeous stamp sets designed by the gorgeous Nancy McKinney called Make A Wish, Borderlicious and Bubbles Big Background. 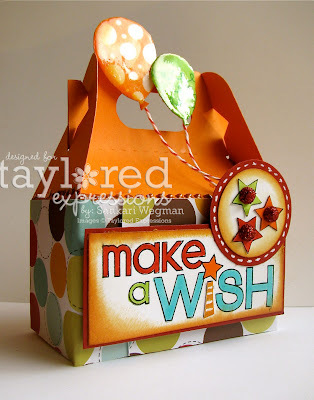 And if that wasn't enough, Taylor is also coming out with balloon and border dies and a gorgeous Make a Wish Project Pantry kit that makes it so easy and fun/festive to create some happy birthday cards!!! AND if that wasn't enough - one of the best parts of this gorgeous stamp set is that the Make A Wish stamp set is the next set in the Taylored Expressions Giving Tree program where every quarter Taylored Expressions supports a different charity through the proceeds of a special stamp set. For the months of September, October and November when you purchase this set you'll be helping to support the Make A Wish Foundation. Their mission is to grant the wishes of children with life-threatening medical conditions to enrich the human experience with hope, strength and joy. 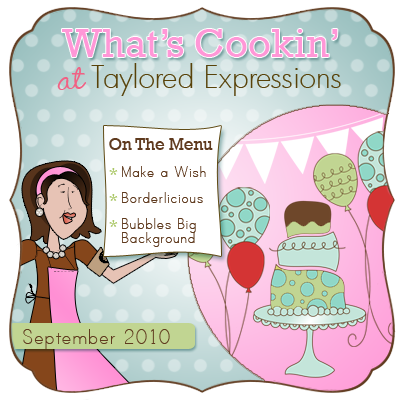 Taylored Expressions will donate $7.00 to the Make A Wish foundation for every stamp set that is sold! This is why that the Make a Wish stamp set will come as sheet of rubber and will be uncut and needing to be trimmed so that it will reduce the cost of manufacturing and be able to donate more to charity. and here is a view of the whole gift set - I can't wait to give it to her today!!! Woo-hoo!!!! 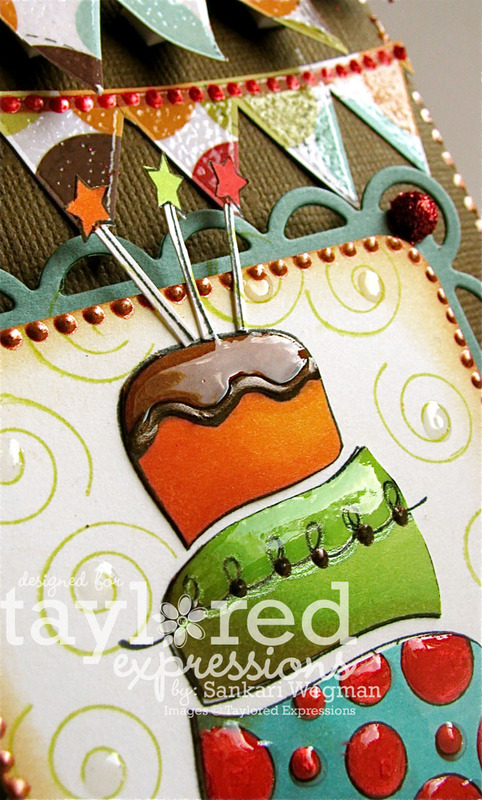 I can't wait to see what all the amazing Baker's have been cooking with all the amazing new stamp sets and border dies!!! Hop on over with me and check them out!! And a HUGE welcome to Regina, Tori and Danielle - our newest members of the Baker's Dozen!!!! Please stop in tomorrow for more TE goodness!!! 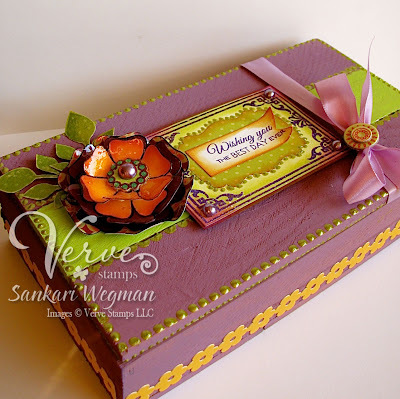 The Verve Project Parade has started on the Verve Stamps blog and this month, we are creating projects with the theme"Something Old, Something New." 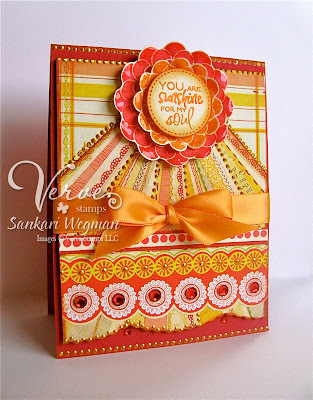 This doesn't mean wedding (but of course it could) - its a challenge for all the Verve divas and anyone who would like to play along to use a previously released Verve stamp set with one of the new sets that was just released this August 20th. 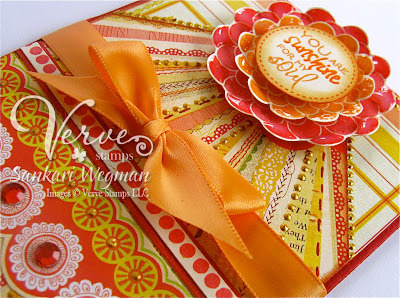 (If you don't have the newest Verve sets - no worries, just mix and older set from your stash with a "new to you" stamp set and join the fun! 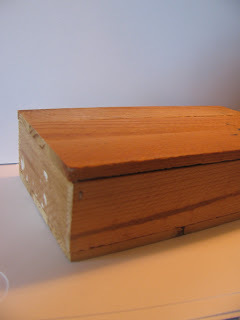 In thinking of something old and something new - I thought I would create something new from this old wooden box that I have had for over 10 years. I painted the box the colors from the Pixilicious colors from Cosmo and then as I waited for it to dry, I cut the cardstock for my card (measures 5.5" x 5.5"). 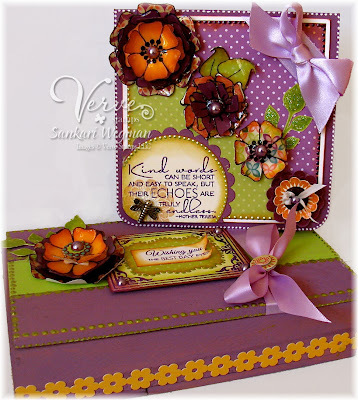 I wanted to use all the lovely flowers that Julee has designed in her Verve stamps, but couldn't fit them all into one card ;) so I picked three sets with the gorgeous flowers that Julee has designed and created a coordinating gift box to go with it as well. I love everything about Julee's stamp creations - all the details and fonts are so perfect and in mix and matching the stamps - the hardest part was choosing which stamps to use! 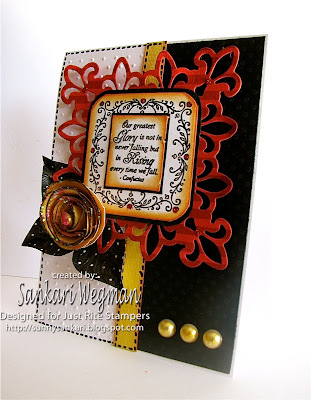 Julee always amazes me with her amazing designs! I love all the Verve Flowers - Here is a close up of the card: The big flower and the third flower are from the Great Friend stamp set, the second flower is from the Feel the Sun stamp set and the last flower is from the Dream Big stamp set. 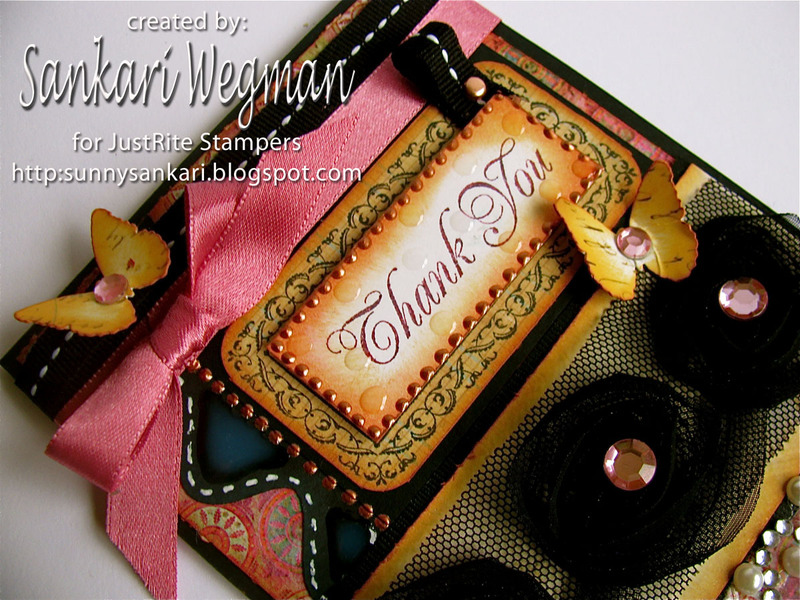 The inspiring sentiment is from the Kind Words stamp set - I absolutely love the font in this sentiment! Here is a picture of the giftbox that I painted. I used the sentiment and border from the Framed Wishes stamp set. I loved creating this little gift set and loved using all the gorgeous flowers that Julee has created (you can see all the Verve stamps with flowers in them by clicking this link here!). It was so fun to mix and match my Verve stamps and I hope that you will play along with us! 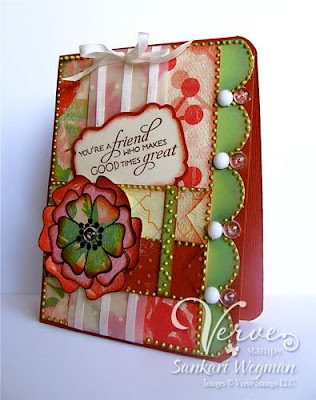 There's lots of chances to win some Verve stamps - so for more details check out the Verve Blog and stop in every day to see a new project from the Verve Divas! Wishing you the BEST day ever!!! All the birds are so sweet and lovely - its hard to pick which one you want to use - after playing ine-mini-mani-moe ;) I finally picked the sweet image of the lovely hummingbird enjoying the nectar of some yummy flowers. This reminds me of being up north at the cabin and watching the hummingbirds at the feeder while we ate breakfast. I stamped the image and colored the sweet little hummingbird a mixture of bright and dark greens and bit of a blue and the flowers I colored red to match the red nectar from the bird feeders. I really enjoyed playing with this gorgeous stamp set and can't wait to try my hand at coloring in the rest of these gorgeous backyard birds!!! 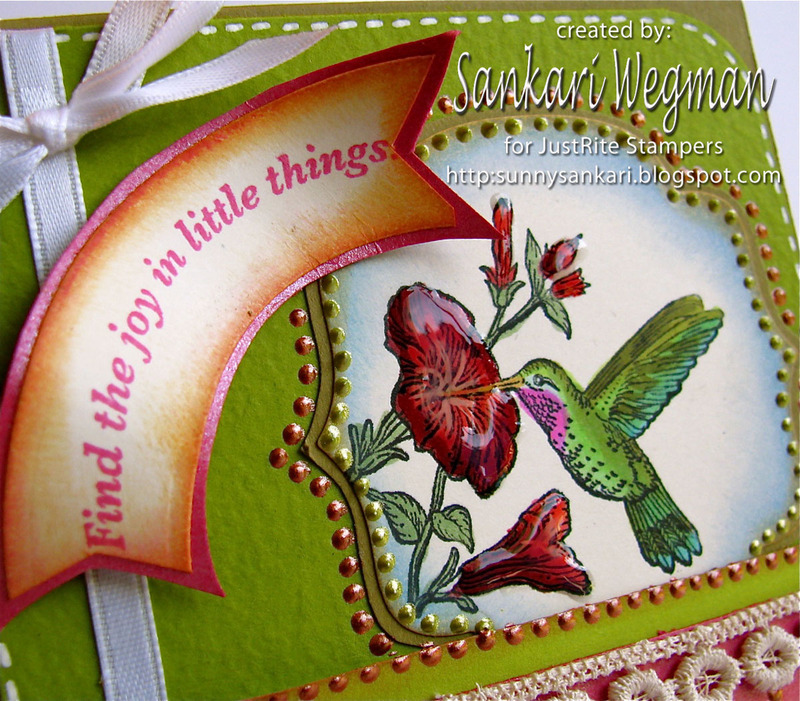 Check out all the gorgeous birds in this lovely stamp set here! The sentiment "Find joy in the little things" is so true - I feel that this sentiment should be something that I have to remember every day - its so easy to get swept up in the busy schedules of life - but just enjoying even the littlest things - the wind against your cheeks, the feel of your little ones hand in yours, the silence of the morning coffee ritual --- all beautiful things! and hope that you are enjoying all the little and big joys in life! 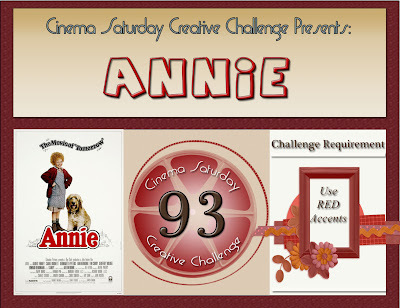 Welcome everyone to our 93rd Cinema Challenge - where every week we create a card inspired by a different movie, and this week we are featuring the movie: Annie! This broadway musical turned movie was based on the comic strip of the adventures of Orphan Annie and was nominated for two Oscars. The songs in this movie have continued in popularity as numerous of schools and production companies continue to perform their own Annie musical. For our challenge requirement, we went with the obvious :), to use some red accents (it can be a little or a whole lot!!!) that is inspired by some part of the movie! I remember watching this movie way back when and always remembering that "the sun will come out tomorrow" and that always made me feel good - that no matter HOW hard (or maybe I should say, how "hard-knocked" ;) your day was, there is always tomorrow! 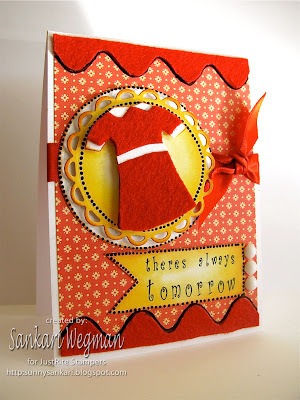 So I thought I would create that very sentimented card with a little red Annie dress (cut out of felt) and create a simple little card that you can give to someone if they are having a rough day. Accessories: border die and felt from MFT, spellbinders, black sakura glaze pen, white dew drops and the dress was hand drawn and then cut out of felt and put up on dimensionals. Who is your favorite character from the movie? It used to be Annie and Miss Hannigan used to scare me - she seemed so mean. Well, watching it while making this card, I actually grew very fond of Carol Burnett's characterization of Miss Hannigan - seriously - she is hilarious (and still mean) but somehow watching this movie now makes me have a special fondness for Ms. Hannigan (she is so hilarious - Carol Burnett is a genius!). 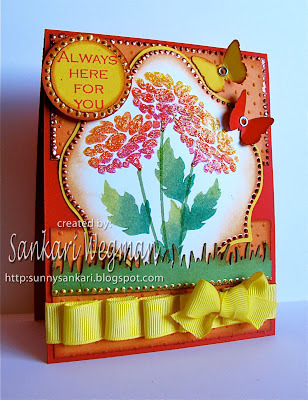 I loved making this card - and anything to do with Annie always makes me feel happy and makes me look forward to tomorrow and all of its possibilities.I had so much fun playing along with this movie challenge - and singing along to the songs as I created my card. Hope that you have a chance to play along with us!!! 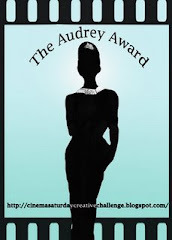 Please check out the Cinema Challenge blog for more details! Accessories: Adirondack Dimensional Pearls (Lettuce), glaze, corner chomper, EK success scallop punch, felted ribbon, brads, ribbon from stash and dimensionals. 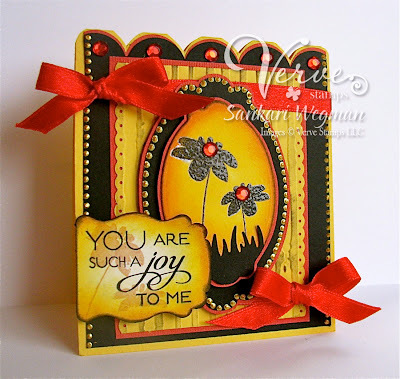 The sentiment "Just For You" is from the All Occasion Nested Sentiments & Verse - which is becoming one of my fave go to stamp sets because it has the perfect sentiments for every occasion with such gorgeous fonts! 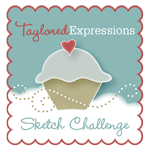 I can't wait to see what everyone has created with this gorgeous sketch over at the JustRite blog! Thanks so much for stopping by today - hope you are having a wonderful Friday! My friend just made her engagement official after announcing it on Facebook (that's how you really know who is in a relationship these days - how official things are :P LOL!) and I couldn't wait to make her card! 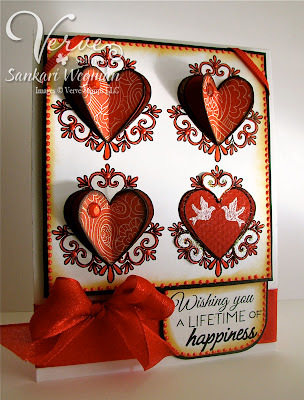 I knew exactly which stamp set I wanted to use - the gorgeous gorgeous new stamp set from Verve called Love story - seriously - Julee has created the most gorgeous wedding set - beautiful fonts and graphics! I used the gorgeous Mojo Monday sketch #153 designed by Mary Fish, for this card and tried to keep it as CAS as I could. 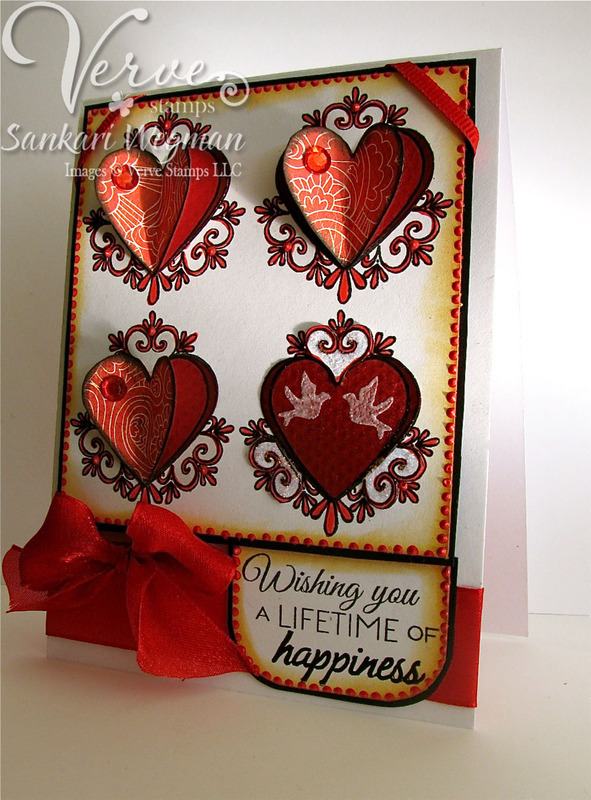 I stamped the gorgeous hearts four times and then paper pieced the center heart with some BG paper and folded it up a little bit. 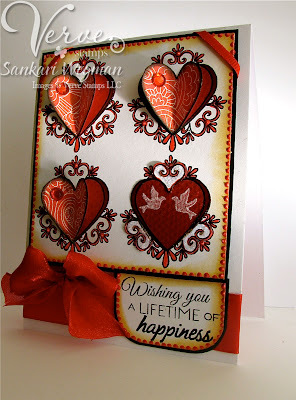 I stamped the last heart with the two sweet lovebirds and embossed it with some white EP: I LOVE this sentiment from the Love Story stamp set which says: "Wishing you a Lifetime of Happiness". I can't wait to mail this out to her and I can't wait for the wedding and to see her in her bridal glory! I love weddings so much and especially love seeing the faces of the bride and groom when the first see each other! So sweet!!!! Well on that happy note - hope your friday is off to a great start! Have you been checking out all the lovely previews from the Gina K DT this week because they are just beautiful and inspiring! Love all the gorgeousness! 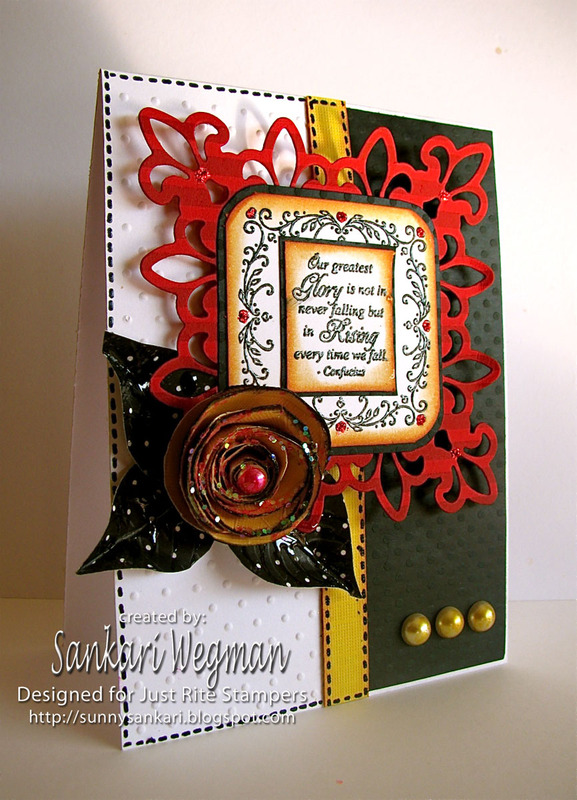 Today, I am excited to show you a lovely set designed by the beautiful Gina K herself called Lean on Me - which is this month's card kit. This means that if you purchase this stamp set - you will receive a card kit with it for free using the lovely Gina K Luxury papers! 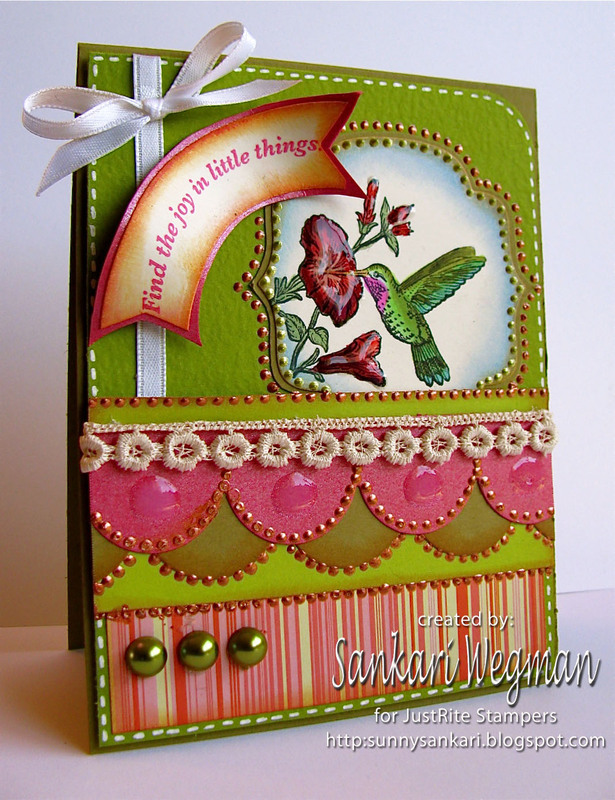 I love this beautiful stamp set called Lean on Me because it has such sweet sentiments and I love that the flowers are all bold - so all you have to do is to ink it up and stamp away!! Makes for creating a very quick and easy card. You are invited to join us for our Release party tomorrow night, August 26 from 7-10 central time for contest questions, challenges, and chatter along with tons more samples! The party leads up to the new products featured this week on our blogs being available for purchase online through"> ">GinaK ">Designs at 10 pm. See you there for all the festivities! Hope that you are all doing great and having a great week! Our week started off with our little ones heading out to school and it was such a bittersweet proud moment... sigh... It also gave me a chance to hang out with a good friend of mine while the kids were at school - she is going through some big changes in her life and I am just amazed by her positive spirit. 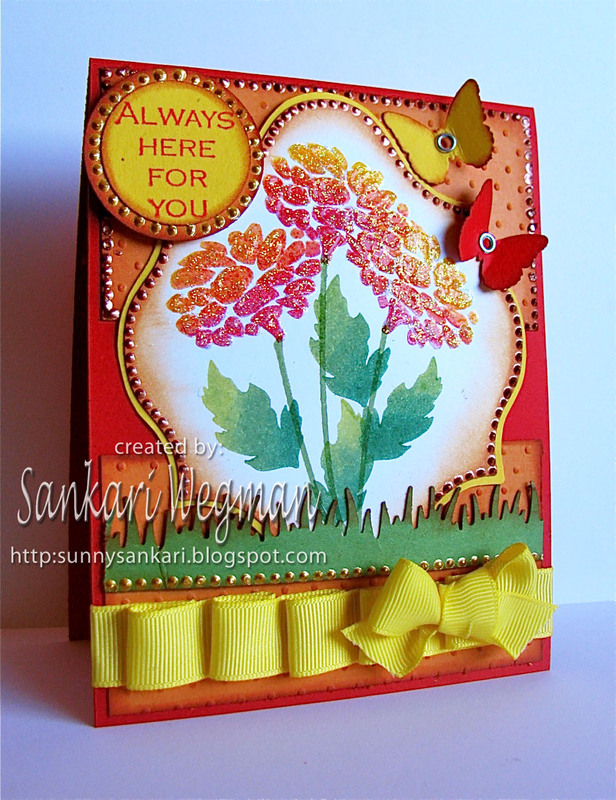 I wanted to make a special card for her to uplift here and knew the perfect stamp! I can't wait to give this card to my friend - I hope she knows how amazing she is by always taking the positive spin on all the different things that she has had to face this year. Hope you are all having an amazing week and enjoying every second! 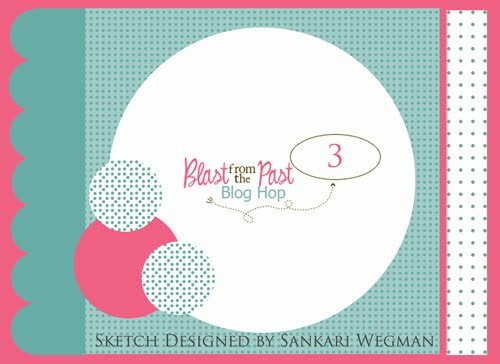 Welcome to the third Blast from the Past Blog hop from Taylored Expressions where every month Taylor puts together a little hippty hop of funness open to all TE fans out there -the hardest part of the Blast from the Past hop is to figure out which adorable and awesome stamp set to use! Yesterday my wee ones went back to school and they both have brand new teachers and new classrooms. AND the wonderful thing, is that both of their teachers are good friends of mine who joined the school this year and I am so excited that they are my children's teachers - they have been working so hard over the summer to get the classroom ready for the children and it was amazing to watch their sweet little faces become so excited to see their gorgeous new classroom and meet & greet their school friends. 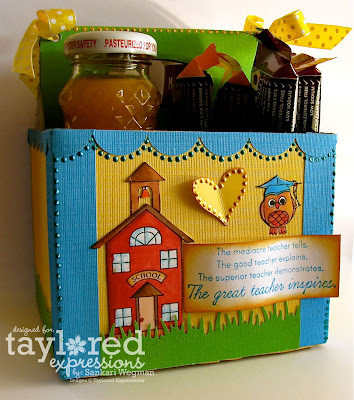 I saw this super cute Teacher Survival Kit! 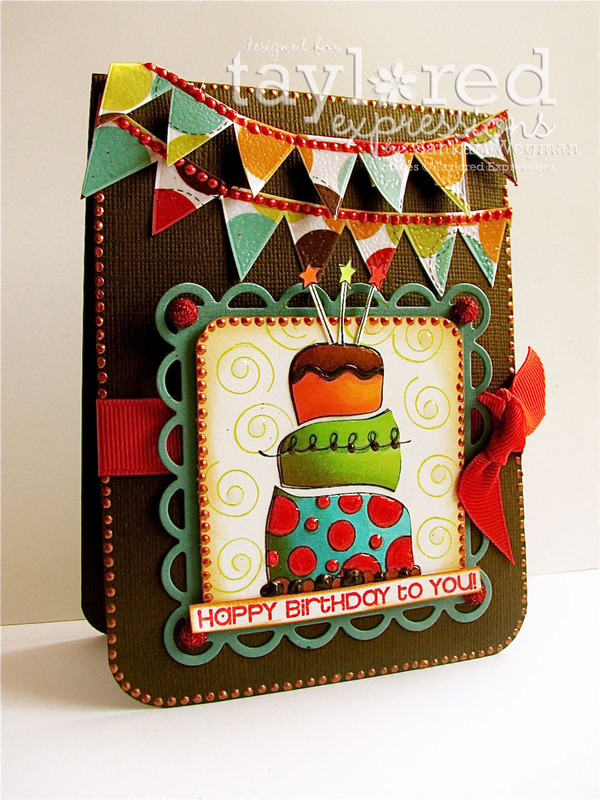 by Becky and was inspired to create something like it - so I took an old empty 4 pack of Starbucks coffee container and altered it and created a coordinating card. I love this beautiful quote and stamped the super cute owlie on top of the sentiment. I used the same owlie for the card that I created with the Blast from the Past Sketch #3. I made another one similar one for my daughter's teacher - but will show that one a bit later :) Well, I always LOVE doing these Blast from the Past hops because its some much fun to see how everyone creates such magic with all their Taylored Expressions stamp!. Speaking of which - please hop along with me as we check out al the amazing artistes who have joined us today!!! Hope you're day is blast!!! JustRite Nested Frames: Just For You! Hope you are having a lovely weekend! This is our last weekend before the kids go back to school and I wanted to give a little special card to one of our friends who has helped us with watch the kids this summer - I still can't believe that summer vacation is over - and as much as I am happy that they are going to school, it also makes me a wee bit sad and proud at the same time to get them ready to go to the next grade - totally bittersweet. Well, we are off to frolick in the sunshine and a have a little picnic today before the kids go to school tomorrow :) Hope that you are enjoying your weekend and get some relaxing time in too!!! 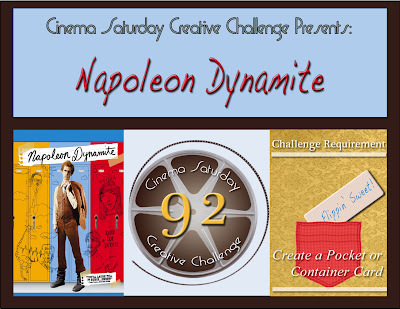 Welcome Everyone to our 92nd movie challenge, where every week at the Cinema Saturday Creative Challenge blog, we pick a movie from which we create a card from - this week we are featuring the 2004 movie Napoleon Dynamite, which won 10 awards including a Grammy! 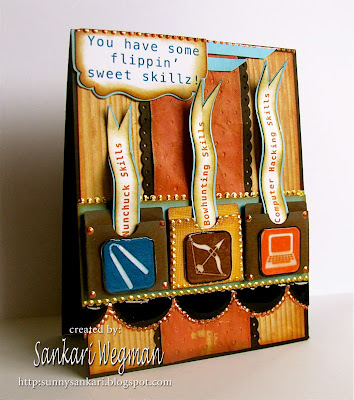 As everyone starts back to school, we thought it would fun to do this movie because its "flippin sweet"! If you haven't seen this movie - it might seem strange at first because its almost like a different quirky world that you get transported to as you see things in the eyes of Napoleon, but we are sure that it will have you laughing - and maybe even make you want to dance along with Napoleon in one special dance scene that is definitely memorable!!! I hope you guys will play along to this flippin' sweet movie challenge!!! Please check out more details over at the Cinema Saturday Creative Challenge blog! Hope that you have a chance to play along with us this week! 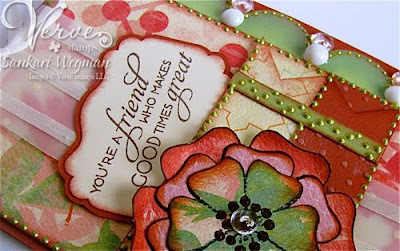 I have been loving all the Verva-licious sneak peeks that have been going this week and today the Divas are ending the peeks with this gorgeous preview of the amazing set that Julee has created called: Great Friend! Seriously - just when you thought it couldn't get more Verva-Yummy - it does!!! 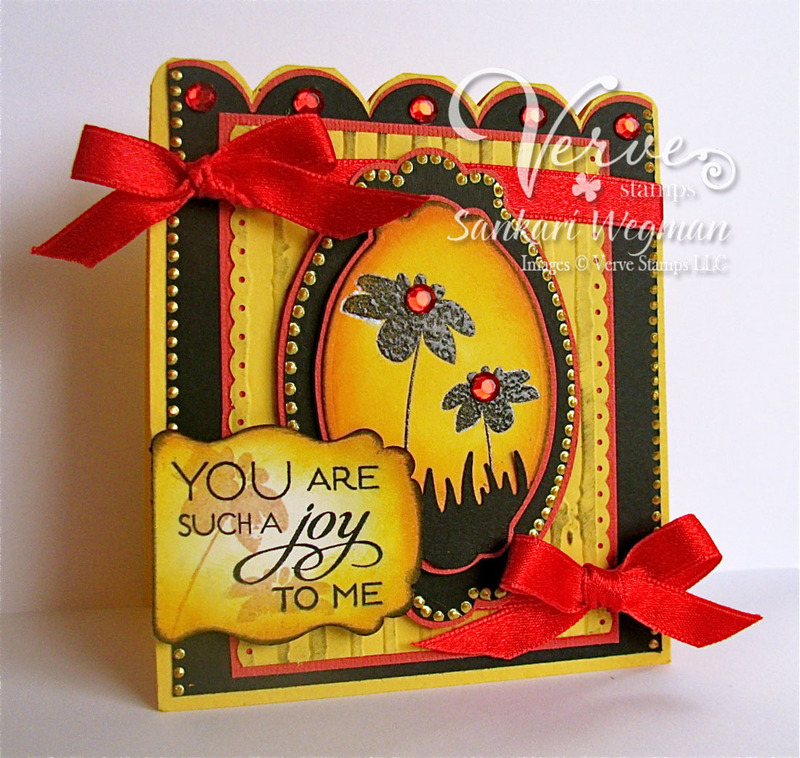 I love the flowers in this set and the sentiments are simply perfect! 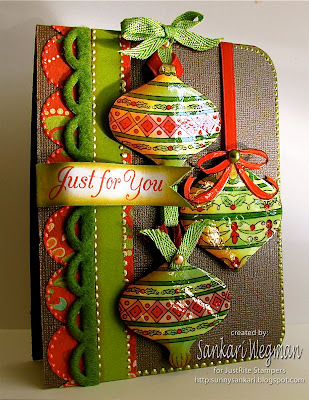 Accessories: Adirondack Liquid Pearls (Lettuce), Cuttlebug embossing folder, ribbon from PTI, vellum from stash, dimensionals, scalloped die from MFT and die from EK success. I have loved every single set that Julee has created and you won't want to miss seeing the full release in its awesome Vervalicious glory on Friday!!! 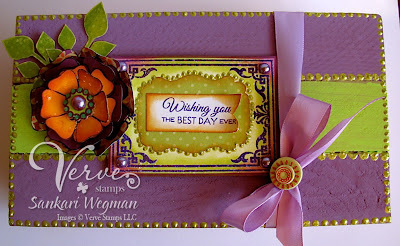 I can't wait to see what the amazing amazing Divas have created with these gorgeous stamp sets! Please hop along with me and leave them some love! 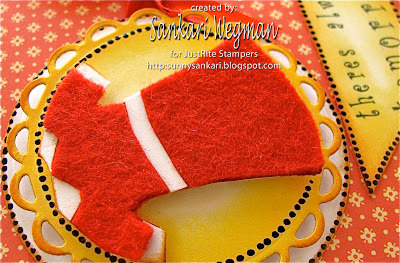 There is a prize of winning this stamp set that is hidden amongst one of their amazing blogs!!! Deadline for comment is 6PM EST on Fri (Aug 20) with winners being annouced at the Anni-VERVE-sary Bash Release Party!!!!! So hop along with me and check out these lovely artistes!!!! Don't forget to mark your calendars, get some chocolate and join us for the release party this friday!!! 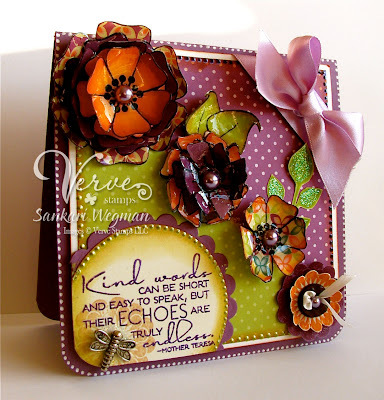 Today the amazing August Verve Sneak Peek Release continues with two more amazing sets that Julee has created called: Kind Words and Happy Hello! I am always amazed by how Julee is able to create magic in every set - and these sets are pure Verve-y magic - gorgeous fonts and absolutely gorgeous sentiments! 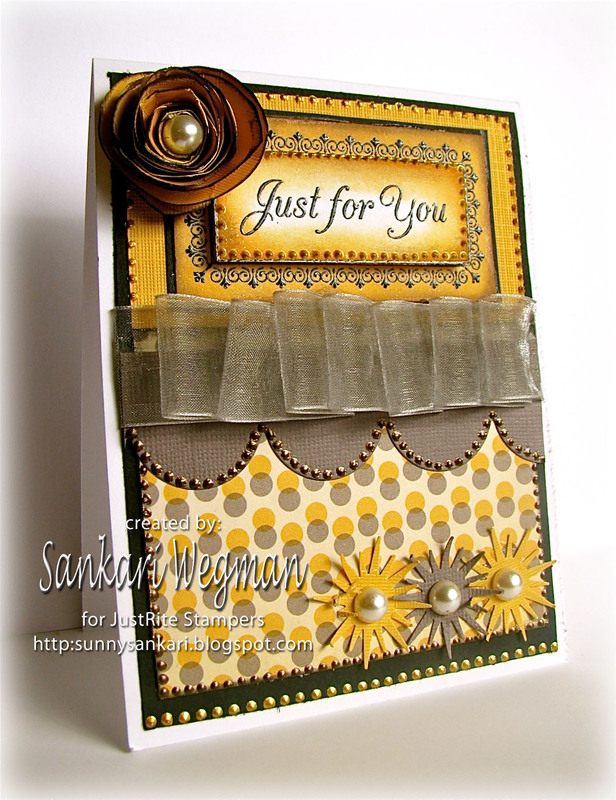 Accessories: EK success die punch and large and small scallops punch, Spellbinder's Nesties, Adirondacks liquid pearls, Cuttlebug embossing folder, dimensionals and ribbon from stash. 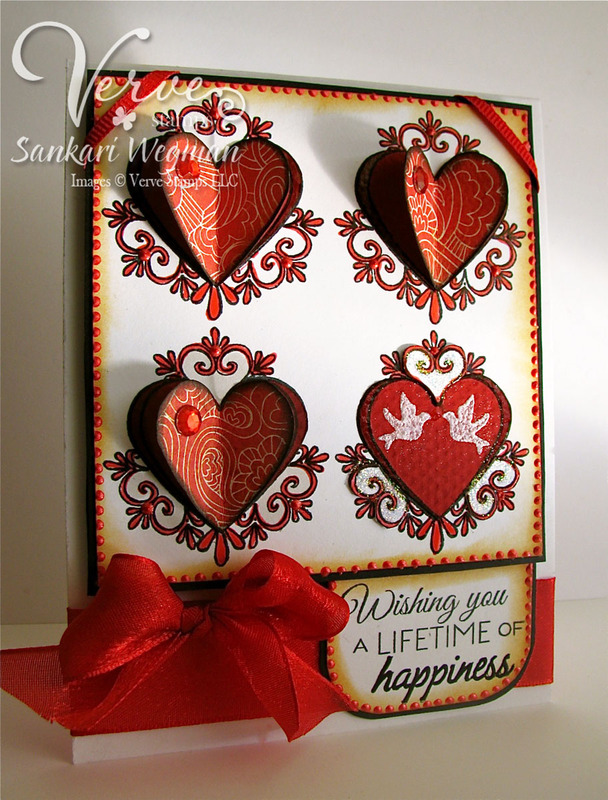 I love how these stamp sets come packed with sentiments that allow you to create a card straight from the heart and I can't wait to see all the gorgeous art pieces that the Divas have created using these gorgeous stamp sets. 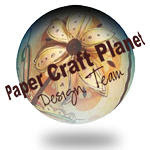 So come along and hop along with me and check out their amazing blogs! Please leave them a little love there is a hidden prize in one of their blogs for the chance to win these stamp sets for one lucky commentator!!! Wishing you all the happiest of days!!! Sweetest Blessing - Gina K Blog Hop!